Carefully observe each child forming the letters in their first name. Expect each letter to be formed correctly before letting the child practice both first and last name. Notice pencil grasp and whether letters are being formed from the top. Once a child can print her first name fluently, she may also practice pink “heart word” sentences for handwriting fluency. Remind children when they are writing their names on papers during the day to “Stop, think, and focus…and do quality work!” We use American Sign Language (ASL). Continue fingerspelling everything: It develops writing strength in the finger muscles while building memory hooks for letters and sounds. See How to Make Name/Fingerspelling Cards. Children need a consistent routine and a short, targeted, systematic time for daily name writing practice, ”heart word” quick writes, and a, b, c, d fluency drills. In some classrooms, this works best first thing in the morning as part of “settling-in time”; other teachers provide this practice after recess and before independent “choice time.” One of our colleagues developed a form to assist parent volunteers so they can accurately help children with the a,b,c,d handwriting challenge. We make connections with our ABC Phonics: Sing, Sing and Read! program throughout the curriculum. In still other classrooms, the children are expected to always do their best name writing. Some teachers check the students’ names on their illustrated “I Can Read” Anthology (Notebook) pages or other art/writing pieces which gets finished before recess. This becomes their “ticket” to go outside. Expect good name writing throughout the day! Review handwriting motions within the context of high-frequency “heart word” sentence patterns before children do independent book making activities. Expect quality handwriting: “I see the dog.” Sing, Sign and Write ”This is my house” from Sing, Sign, Spell, and Read! CD. Before children engage in the Book Making/Word Work Fluency totes, use white boards to reteach and review letter shapes for “My Book, by,” and “the end.” Always have multiple copies of the language models at the table as a memory scaffold for quality handwriting. Consider sending home a first and last name model and the Name Ticket Practice Book again asking families to help the child practice twice a day (especially after your Fall or Winter Literacy Evening!). Parents value good handwriting and appreciate that it is being taught. Make sure they have a Name Ticket Model. Continue to notice each child’s pencil grasp. Teach an efficient pencil grip. Consider using the CLAW or a large triangle crayon with the children who need support to build muscle memory for pencil holding. Encourage families to use it at home. If you notice that several children are not making the “e” efficiently, do a white board lesson using the word “love” or “like” or “the end.” Fast writes build fluency! Ask children to verbalize how to form the “e”: “out and around” while forming the letter in the air. Emphasize the first “horizontal” line. For optimal teaching, every time we introduce a new “heart word,” we provide a lesson involving writing the word multiple times! 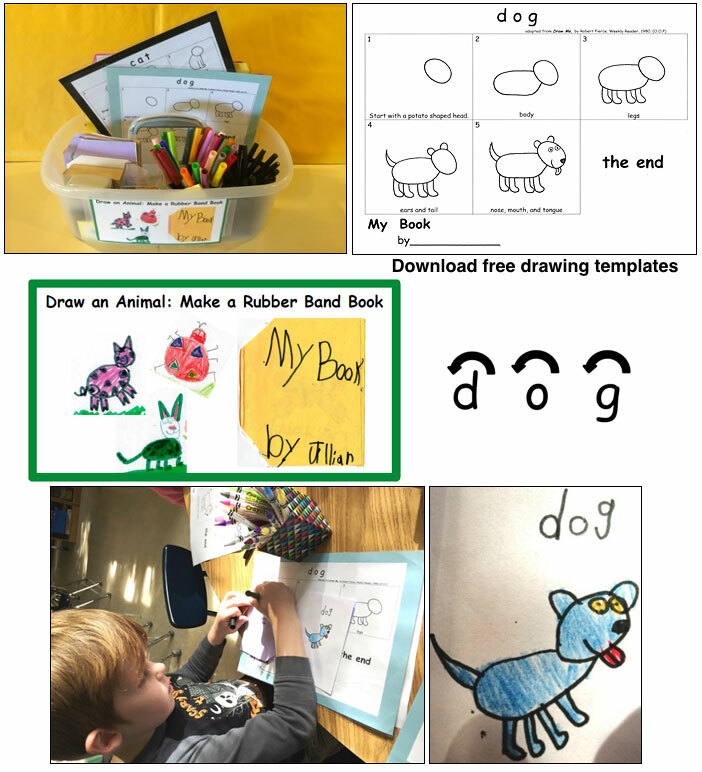 This can be a white board lesson, a creative art piece, or a page from our Kindergarten-Friendly Handwriting, Word Work, and Phonics book. 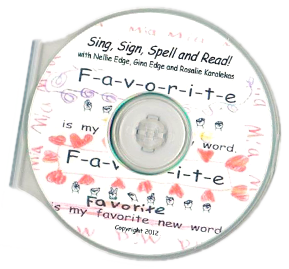 Use the Sing, Sign, Spell and Read! anthology pages for follow-up practice. Honor children as “name writing experts” once they have learned efficient handwriting motions for each of their letters. The experts can each make a crown and have their pictures taken for a class book or receive a badge or certificate. Kindergarten children love recognition for having worked hard and achieved an important learning target. Expect good handwriting for the pink and purple “heart words”: include writing the word with fluency as a part of becoming a master of each new set of words! Once pink and purple words are mastered, children will be able to efficiently write every lowercase letter except j, q, and z. Teach handwriting while simultaneously practicing high-frequency “heart words” to accelerate literacy. 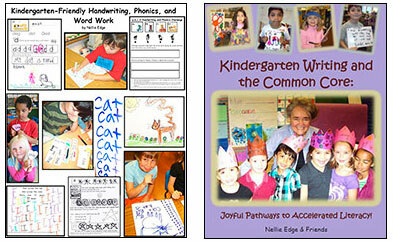 For teachers already using our Kindergarten-Friendly approach to handwriting consider rereading the first 20 page photo essay in the Teachers’ Guide: Kindergarten-Friendly Handwriting, Word Work and Phonics by Nellie Edge and read Chapter 3 in Kindergarten Writing and the Common Core: Joyful Pathways to Accelerated Literacy. 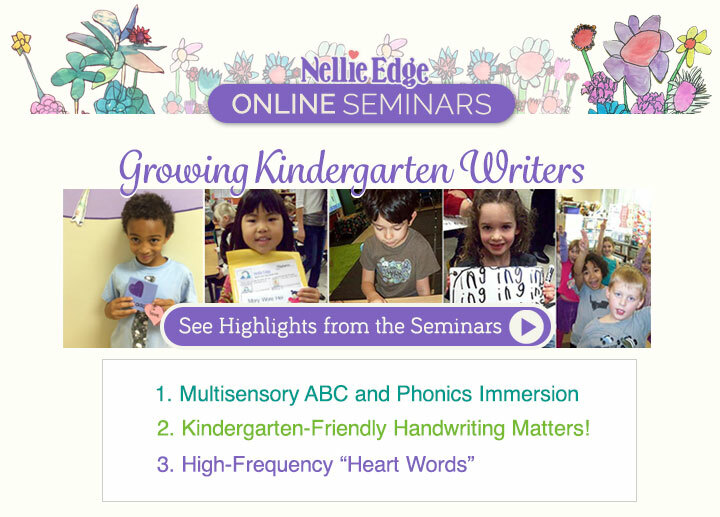 For additional information about Kindergarten-Friendly Handwriting, see our earlier blogs. The entire Sing, Sign, Spell & Read! program is included as a FREE digital download. A special thank you to to Jaime Corliss, Celeste Starr, Laura Flocker, Katie Nelson, Shanda Lung, Kathie Bridges, Shabri Vignery, and Kristi Nelson for collaboration in our ongoing teacher-research on the most authentic, inexpensive, and time-efficient way to teach kindergarten-friendly handwriting and high-frequency "heart words". We enjoy hearing about your success using this authentic approach to kindergarten-friendly handwriting. We will make every effort to respond to questions for several days after this is posted. Please post your comments below. Happy Teaching Days to You! When should children begin to use lined paper? That is such a good question with no “one right answer” that would apply to every situation. We study our children’s writing—both during Writing Workshop time and during the bookmaking (authentic word work) activities. Certainly preschool children should be given blank paper to simply explore their art/scribbling/drawing process as they develop interest, fine motor control, and awareness of letters and shapes. We begin kindergarten by teaching children to draw with detail and label their drawings on blank paper and practice name writing every day on blank Name Tickets. We have high expectations and we use developmentally sensitive coaching, soon expecting children to start writing sentences during Writing Workshop using their own phonetic spelling and conventional spelling of sight words. At that time (late September or October), teachers usually provide children wide lines—or kid-writing paper with a shaded line for adult underwriting—(not three-lined paper) as a frame to write inside of. What is interesting about young writers is you can usually tell when they’re not ready for “writing within the lines,” because if they’re not, they will total ignore them! Some of my colleagues introduce three-lined paper toward the end of the year, just to give the children the opportunity to explore the type of paper they may be using in first grade. Three-lined penmanship paper may be offered as one of the paper options for those children, if they choose to! However, most of our colleagues use “paper with wide lines” all year long for writing workshop, and children transition to formal three-lined penmanship paper in first grade. Notice that our Rubber Band Books, Folded Books, Skinny Books, and later published books, do not have lines. Our diverse kindergarten writers, with support, transition into writing left to right, top to bottom, without lines quite naturally because we create a culture of engaged writers. You can see there is no one easy answer to this question. Teachers need to have a solid grasp of the writing process and observe their children, trusting their teaching wisdom about the lined structure needed. We have discovered that for developmentally younger writers still practicing good name writing and having a hard time with size relationship between the letters by January: It may be helpful for them to see their Name Ticket printed on three-lined paper and to practice their name writing on three-lined Name Ticket paper. 1. Forcing children to write within three-lined paper before they are developmentally ready may impede the writing process and diminish progress and enthusiasm. 2. Asking children to work on three-lined paper before their hand-eye coordination and their perceptual writing skills are mature enough can also cause parents undue worry. If they have unrealistic expectations for their children, this may lead to negative feedback and pressure around the whole writing process—not a good way to build happy, motivated writers! Our larger purpose is to create a kindergarten of children who not only know how to write but who choose to write and draw because it is a source of personal pleasure and power. Thank you for asking this important question to which there is no one easy answer. Keep writing real and be sensitive to the needs of your children. Consider taking a quick look at the writing samples in all three of our handwriting blogs again, and these random thoughts may make more sense. I love the photos of the children practicing this technique. They really help demonstrate how children learn in the classroom. Thanks! Thank you Patti! We love documenting and sharing the work of kindergarten writers. I love the photos of the children practicing the technique – they really help demonstrate how children learn in the classroom. Thanks! Thank you for reading the blog and for wanting to be the best kindergarten teacher you can be! I write these detailed blogs for teachers like you who really think about joyful accelerated literacy practices. Thank you for your gracious comments. We are excited about our upcoming online seminars for 2015. Thank you so much for your constructive response. I used to wait until January to provide my students with wide line paper during the Writers Workshop. About two weeks ago I noticed that some of my kindergarteners were writing their stories as what seemed like lists of words, but when they read back their stories to me they sounded perfectly fine. This issue was quickly corrected when I gave them wide line paper. I agree with you when you say that it is easy to tell when some are not ready for “writing within the lines”. These students write within the box meant for the picture! In reference to the Name Tickets, when is the best time to let them start writing their last name? I let them as soon as they learn all the letters of the first. Many of my students already know how to write them both. However, I have noticed that some of them have not quite mastered the path of motion of all the letters in their first name, yet. Should I have waited a little longer until they developed better writing skills? Thanks.